I have discussed my earlier article about architectural consideration on RESTful system for distributed environment. This article we are going to discuss how to build RESTful web services with Jersey and Apache Tomcat. 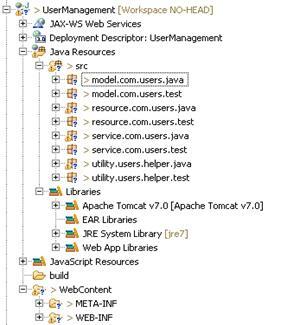 This tutorial explains how to develop RESTful web services in Java with the Tomcat 6, Eclipse and Jersey a JAX-RS (JSR 311) reference implementation. Request and Response supported by JSON, XML and various MIME type such as image, byte stream etc. JAX-RS is an annotation-based API for implementing RESTful web services, based on HTTP, in Java. Essentially, classes and methods are annotated with information that enables a runtime to expose them as resources. A runtime that implements JAX-RS mediates between the HTTP protocol and the Java classes, taking into account URIs, requested , content types, and HTTP methods. We will build a small application for user management to operate CRUD operations on users. We will create small User table with column username and password and do the CRUD operation using POJO class exposing operation on web services using Jersey annotation. Following are the design consideration before starting the RESTful web service development. 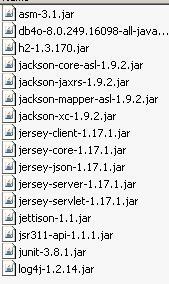 Before starting the development we need to add the Jersey servlet into web.xml to direct the entire request to jersey for resource identification and operation processes (POST, GET, PUT, and DELETE). @Context: Context use to inject the contextual objects such as Request, Response, UriInfo, ServletContext etc. @PathParam : This annotation is used together with @Path and in conjunction with GET, POST, PUT and DELETE. Other available annotations are @FormParam, @QueryParam etc. @Produces (“application/xml”): Multiple MIME types are supported for responses. In this case, application/xml will be the default MIME type. @Consumes (“application/xml”): Input Request payload will be send in xml format. Don’t forget to add empty constructor as it required during conversion. We will create service classes which perform CRUD operation in User table in H2 database. We have to create couple of more classes to interact with DB(H2 in our case) and perform CRUD operation. 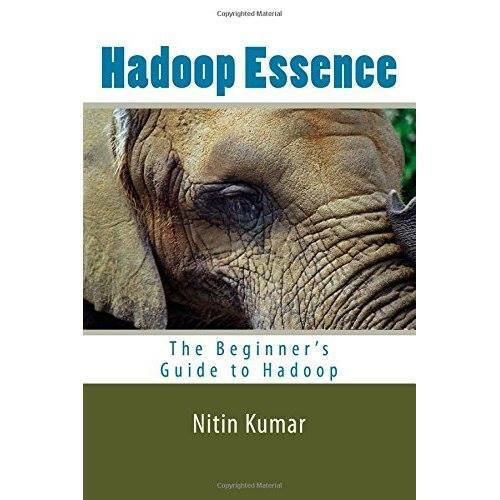 * This method is used to create an object for the given DAO class name. Jersey provide client to test the RESTful web services whic help to communicate with server and test the services. The client library is a generic implementation that can cooperate with any HTTP/HTTPS-based Web service. 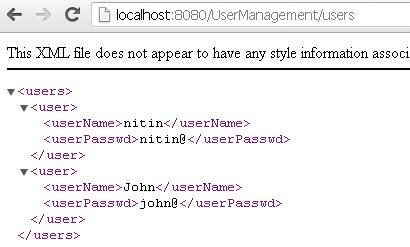 This entry was posted in Main, SOA and tagged JAXRS, Jersey, RESTful, SOA, Webservices. Bookmark the permalink. This article is in fact a good one it assists new web people, who are wishing in favor of blogging. with Jersey | TechMyTalk <Loved it! I see the example of the client which tests the service in most such tutorials. I on the other hand am trying to write a Java swing application that will interact with the rest service. So I got the service part running (meaning i can hit the URL and i am able to get the xml response) but now how do I use jersey to make a call to that url and interpret the xml and parse it into objects to show it to the end-user? I am not able to find a way to do that. Can you please share some thoughts on this?